You can (obviously) believe everything you read at Pies, but as for everywhere else, don’t believe a word. “Sport” magazine caused a bit of a furore recently when they printed an interview with Barcelona new-boy Cesc Fabregas, in which the former Arsenal captain was quoted as saying that he left the Gunners as they had no chance of winning a trophy in the foreseeable future. He may have left Arsenal, but he certainly seems to have a left a little piece of his heart in north London. Above all appreciate that Fábregas put the effort in to get this retracted etc. These kinds of incidents should be greater publicised to discredit the magazines that make this kind of thing up. Too often it’s swept under the carpet. Probably the same idiots who worked at News of the World. Sad to say this magazine making up an interview with Cesc isn’t even surprising in any way. Over the past two years over and over members of the British media have just invented interviews they supposedly conducted with Barcelona players that never happened. Just made them up. And the main point of nearly all of those invented interviews was some purported insult from Barcelona to Arsenal. And many of those lies are still thought to have been actually stated and true. Now that Cesc is on Barcelona it has happened to him. It’s pathetic. But it taps into a vein of anger that generates attention and page views so they do it. Barcelona acted poorly towards Arsenal. But much of the ill will was amplified by wholly fabricated quotes that were never said but just invented to by the media. 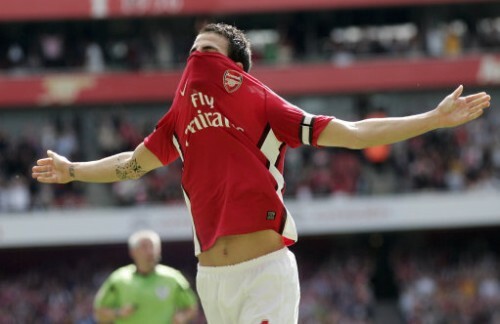 fair fookin play to fabregas you have to say. No Dc, no Titus. The Sport WAS a French magazine that went broke, then it was bought by TalkSport which is a British company. It’s not a Spanish media thing, it’s just a MEDIA thing. Big stories attract readers who will look through publications that have adverts that pay big money to get seen. All the sports papers do it. It’s about “Sport magazine”, the free UK magazine. He gave an interview to “Sport” (Spanish paper) too, which was real.